A charming candle centerpiece idea is today’s handmade-a-day find! Be sure you’re on the list so you don’t miss future blog posts. Earlier this week, we talked about ways to save money on your wedding. One of those tips was to choose non-floral centerpieces instead of large floral blooms. As inspiration, we are sharing this candle centerpiece idea from VEN Decor Handmade. 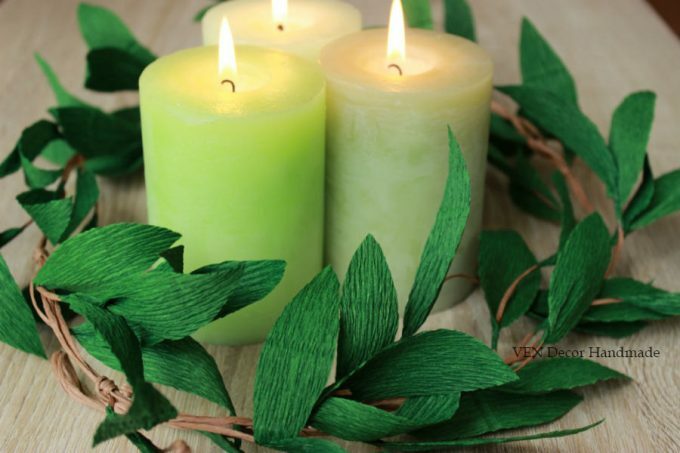 It features handmade green leaf garland and a trio of candles in the center. Romantic lighting is always a welcome addition to your reception space and we love how this candle centerpiece comes together. 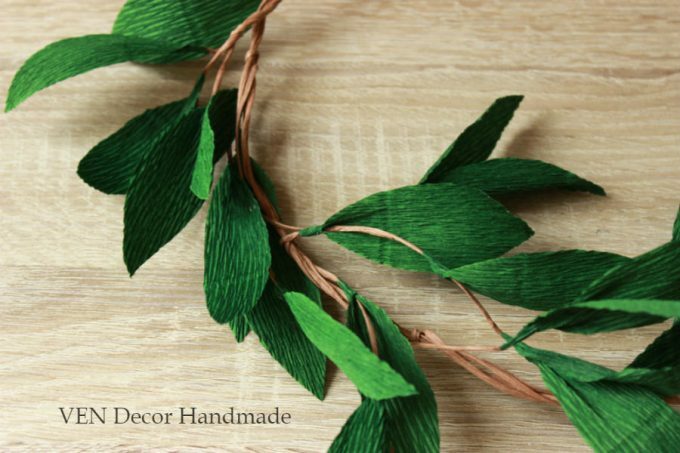 Did you know each leaf is made of green crepe paper and completely handmade? That’s pretty incredible. Beautiful! To find out more, visit VEN Decor Handmade. You can also find more centerpieces and decor ideas in The Marketplace.